During a hot, sunny South African summer, there is absolutely nothing that is as reinvigorating as splashing around in a swimming pool, gunite or marbelite. Even though pools may be viewed as a status symbol or a luxury that most are unable to afford, they are usually worth the splurge as they serve multiple functions.Â In fact, the previously mentioned marbelite pool will provide the look of granite at a fraction of the cost. In addition to being a refreshing oasis on hot days, you can go for unique swimming pools designs and add water features and a colourful back splash to enhance the visual interest of the backyard. 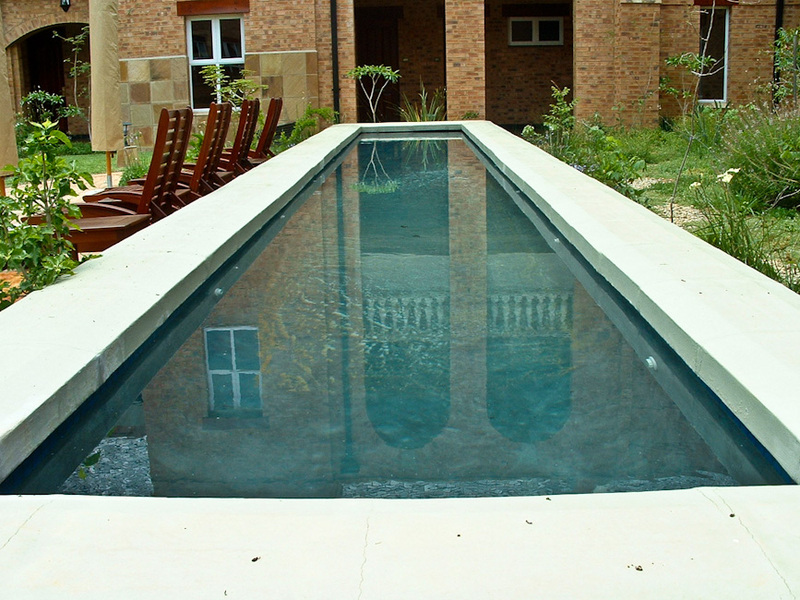 An infinity edge is incorporated in many modern pools. 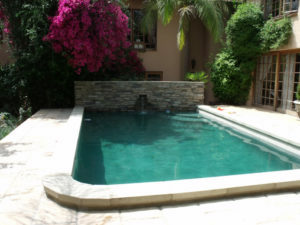 However, this works best for pools that are located on hillside or terraced properties, where the pool can be merged into the view of a natural body of water like the ocean or a lake that is in close proximity; adjacent to the horizon or just beyond the pool. Spas have literally risen to a whole new level; a popular pool design incorporates a spa that is raised above the swimming pool, allowing a flow of water from the spa in the pool. This creates soothing sounds that are reminiscent of a waterfall and there is nothing quite as relaxing as those sounds. Even though swimming pools are naturally fun, there are a number of different ways to intensify the fun factor. Choose from any of our amazing swimming pools and install a slide and a diving board to make the experience even more enjoyable.